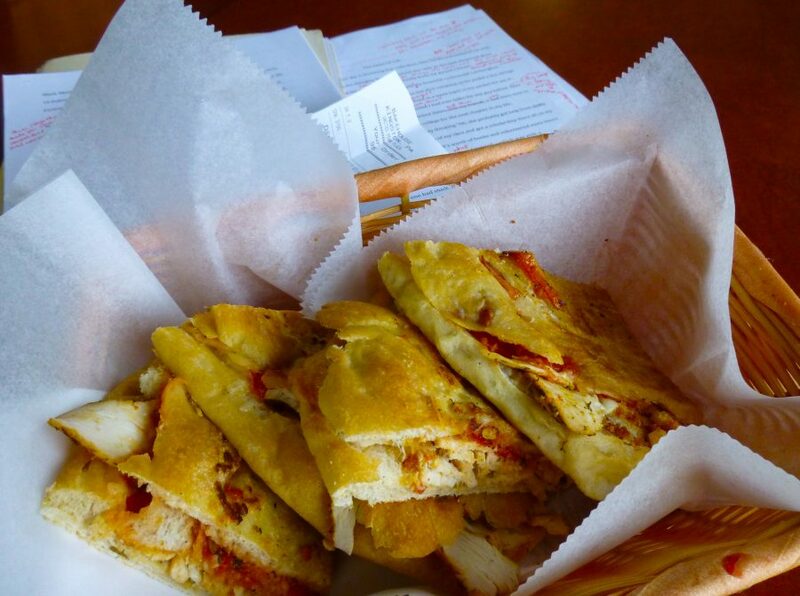 Coming in from The Bakehouse in Kingston, PA, the chicken parmesan panini is made with a surprising twist of thin-sliced cold cut chicken mixed with delicious tomato sauce and cheese. It’s held in a circular panini that crisps and flakes with every bite. It’s a great companion for any teacher grading papers on the weekend. Sure, you got a drop of sauce on Mark’s paper, but it’s something new that wasn’t there before. Writing papers and eating sandwiches are each actions of constant discovery and improvement. Who knows, both may leave you feeling quite fulfilled, as well.